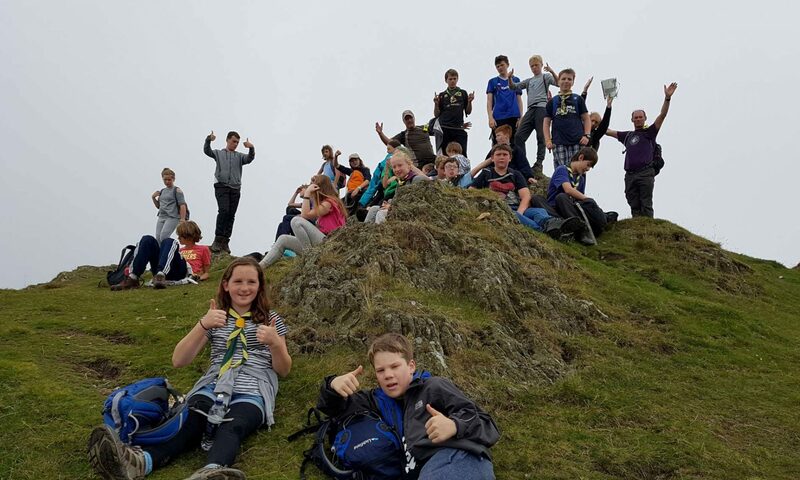 Survival Camp 2 – Sunny this time!! See more photos in the Web Gallery…. 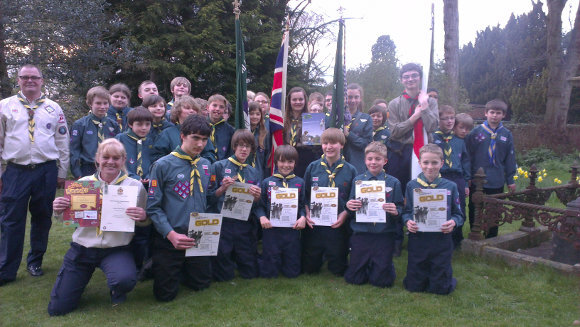 Congratulations to six 1st Linslade Scouts who were presented with their Chief Scouts Gold Award at the Leighton-Linslade District St Georges Day Service at All Saints Church, on Tuesday evening. 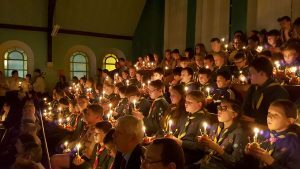 There were also Chief Scouts Silver Awards presented to nine Linslade Cub Scouts, and Chief Scouts Bronze Awards presented to twelve Linslade Beaver Scouts. 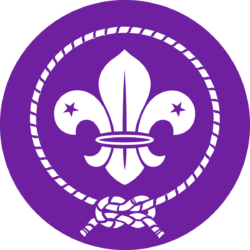 Two Explorer Scouts were awarded their Young Leader Buckle for leadership work in our Group. WELL DONE TO ALL!!! 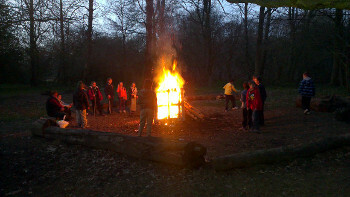 A fantastic turnout of 32 Scouts from Linslade attended the service, joining great numbers of both Beavers and Cubs from our Group. Thank you all for coming.